Tokyo, Japan. July 10. 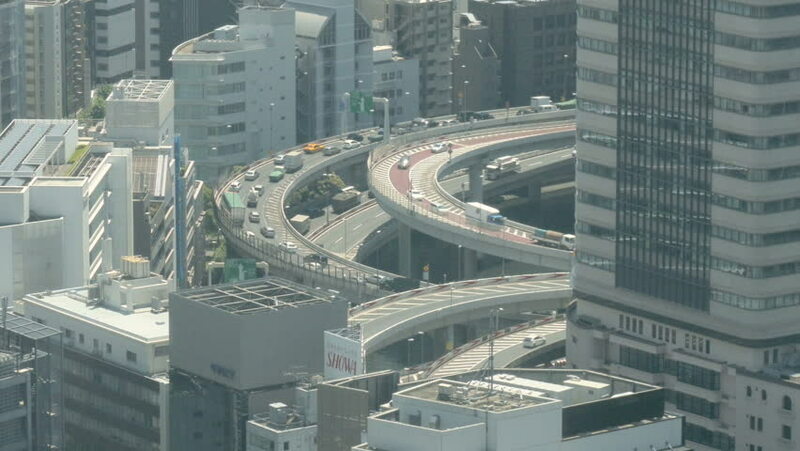 High angle zoom out traffic view of the congested Hakozaki Junction on the Tokyo Metropolitan Highway. 4k00:28Hong Kong, China - October 01, 2018: Aerial view of Hong Kong Cityscape in morning.